This property is part of the Golden Mile LR2 Apartments. 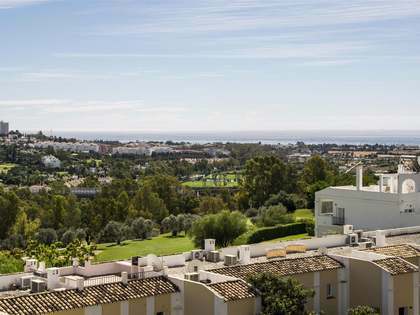 Luxury new development of apartments, duplexes and penthouses with private pools in 25,000m² of landscaped grounds, for sale in Marbella Golden Mile. Just 800 meters from the beach and with breathtaking views of the Mediterranean, this brand-new apartment is part of an excellent development in an exclusive location. This apartment forms part of the the second phase of just 2 new blocks with 6 apartments in each. 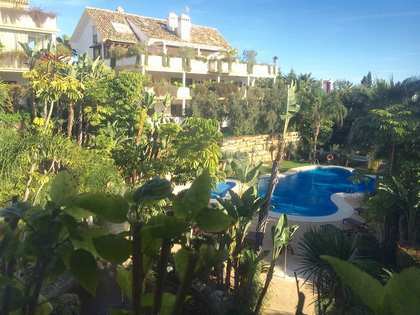 A beautiful property with high-quality finishes, it looks out across lush tropical gardens with views as far as the Mediterranean. 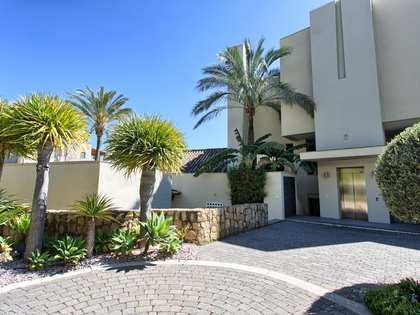 A spacious home, the apartment has been built to the highest specifications with underfloor heating, central alarm and TV FM radio and telephone connections in every rooms. A private plunge pool comes as an optional extra. The development is set within 25,000m² of landscaped gardens. True luxury just 5 minutes from Puente Romana and Puerto Banús and 5 minutes from Marbella town centre. Málaga airport is 35 minutes away. The high-speed train connects Málaga and Madrid in two and a half hours.